There are a lot of ways to ensure that your false eyelashes look flawless and natural. Be sure to pick a pair of versatile eye shape lash. Next step you definitely don’t want to overlook is making sure that they’re the right size for your eyes. Eyelashes that are the wrong size can make your eyes look droopy or make the false eyelashes stand out too harshly against your natural lashes. When you first get your false eyelashes, take a look at the vein that holds all of the lashes together. Most strip eyelashes have an inner and outer edge. The inner edge should look tapered, while the outer edge has a blunt tip. This is because the taper will blend more evenly into the delicate eyelashes that naturally occur in the inner corner of your eyes, while the outside edge is blunt for sizing. 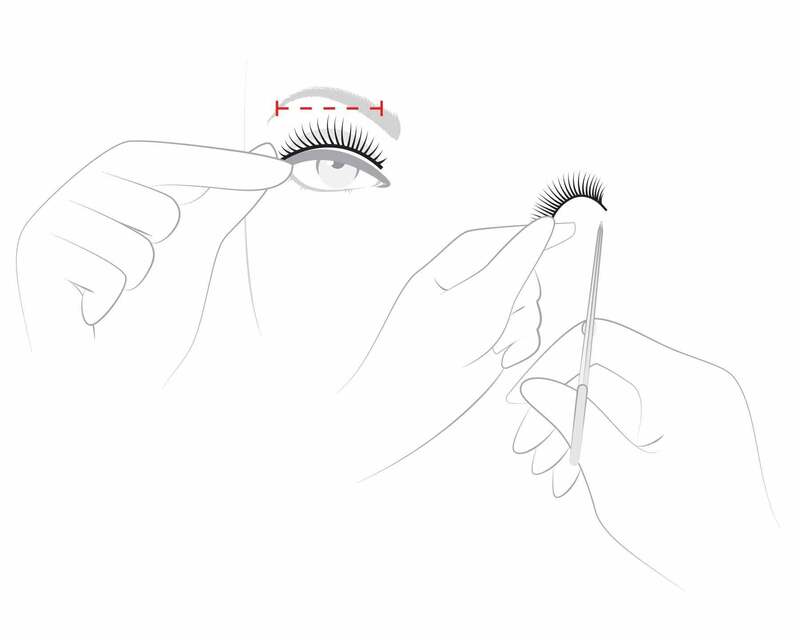 When you go to measure and size your lashes, place the tapered end of the false lash against your lash line about a quarter of an inch from the corner of your eye. You want the false lashes to start right where your natural lashes begin to thicken in order for them to blend together. Once you have that end set, run the false lash along your lash line and measure the false eyelashes right at the edge of your eye. Any wider and they will cause your eyes to look drooped and the falsies to appear more prominent. Note: It’s recommended to size your lashes for each eye individually, instead of measuring one and then cutting the other to match. Sometimes your eyelashes grow differently on each eye and you don’t want to ruin an eyelash.